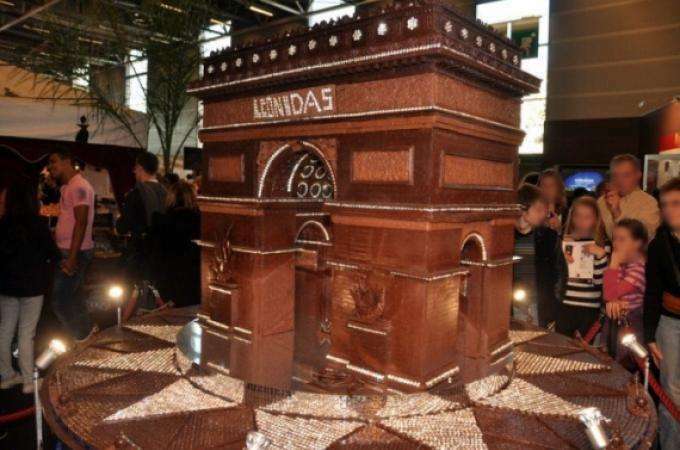 Chocolate lovers will adore the 2013 edition of Chocolate trade show Paris 2013 - Salon du Chocolat Paris 2013 - at Porte de Versailles in Paris, and from 30th October to November 3rd you can indulge in sweet treats in a bigger than ever show. With 20,000 square metres of space dedicated to this exceptional product, the 2013 event is bigger than ever. Learn all you ever wanted to know about chocolate in Pavilions 5.2 and 5.3, where some of the most famous names in chocolate, pastry and confectionery come together for this prestigious and unforgettable event. Epicureans can sample every type of gourmet chocolate they can imagine in Pavilion 5.1, where you can buy delicacies to enjoy back at Hotel Vice Versa, or as the perfect gifts for chocolate loving friends. Be sure to catch the Chocolate Fashion Show which will take place daily at 5 p.m. You'll be amazed by the creations of top young designers who have teamed up with the big names in chocolate to thrill you with haute couture made entirely from this magical substance. At the Chocolate trade show Paris 2013, with over 400 exhibitors and participants from the international world of chocolate and confectionery, you're sure to have a magical experience. Make your visit complete with a hotel that's a real treat too, and book a stay at the incomparable and fabulous Hotel Vice Versa, where the fabulous Greed themed dining room is a fitting complement to this unique gourmet event.